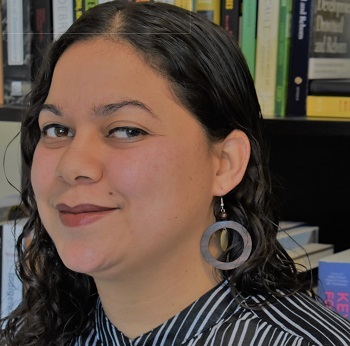 Ileana Diaz, PhD Candidate at the University of Waterloo and IMRC student being supervised by Dr. Alison Mountz, has been awarded one of four American Geographical Society 2019 Council Fellowships. applicants. The AGS will recognize the Fellowship recipients at its annual Fall Symposium at Columbia University on November 21 and 22, 2019. “The future of geographic research and innovation is bright as long as we support young scholars,” said Dr. Marie Price, Chair of the Selection Committee and President of AGS. “The AGS Council Fellowship is one of the ways that our society encourages graduate students to pursue original research around the world." Warmest congratulations to Illy from the IMRC!